"It felt good, man," said Walker. "We had great energy and great togetherness. We really wanted to win this game." Once they finished off the Cavs, Walker and several teammates watched the end of Detroit's game on a TV in their locker room. After the Pistons came back, Walker dejectedly shook his head as he walked from his locker to the shower area. "We knew they were down 20 at one point but we also knew they were at home and they would make a run," Walker said. "They played tough down the stretch and got a big win." Bridges didn't hide his disappointment in seeing the Pistons win. "Of course we were mad about it," he said. "They were down 22 but, hey, we have to worry about ourselves. We still have one more game. We can't worry about what they're doing." There were some positives for the Cavs and none bigger than Sexton, who shrugged off a slow start and came on in the season's second half. "Everything," Sexton said when asked what changed in him from Game 1 to 82. "It's a whole change. Coming into the league people said I couldn't shoot and stuff like that, but I just kept working on it through the season and it got better and better." He guided the Cavs through a turbulent, injury-filled season that ended with uncertainty. Before the game, Drew said, "Let's hope not" when asked if this season would be his last. The 61-year-old, who replaced good Tyronn Lue after six games, was noncommittal when he was asked if wanted to return as Cleveland's coach. "Um, I really don't want to get into that part of it right now," said Drew, who plans to meet with general manager Koby Altman. "As tough as the season was, I still really enjoyed coming to work every day." Hornets: F Michael Kidd-Gilchrist was not with the team for the second straight game because of personal reasons. ... C Cody Zeller was again out with a sore left knee. 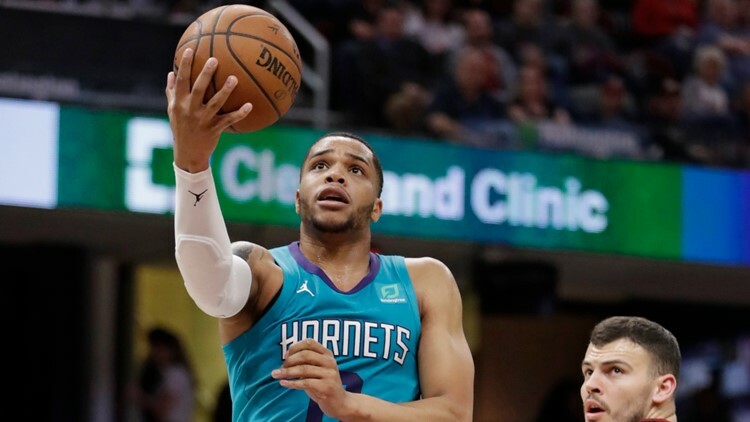 ... Walker enters Wednesday's game — perhaps the final one of his career with Charlotte — as the franchise leader in points and made 3-pointers, field goals and free throws. Cavaliers: Love played 13 minutes on Sunday as a salute to close friend Channing Frye, who is retiring. Love was limited to just 22 games because of the toe and other injuries. ... Frye got a rousing ovation when he checked in and a video tribute from former teammates was shown. Frye scored 10 in the fourth quarter. ... Sexton scored in double figures in his final 23 games. He's the first Cavs rookie to play all 82 games since Andre Miller in 1999-2000.